For those seeking a holistic approach to balance both the mind and body, Akasha Holistic Wellbeing Centre at Hotel Café Royal has further developed its wellness offering by introducing an exclusive range of spa treatments by wellbeing experts, Aromatherapy Associates, launching March 2018. This new treatment programme and iconic product line promises to take guests to new levels of relaxation through a series of aromatherapy rituals and therapies. New to Hotel Café Royal, this is the first time devotees of Aromatherapy Associates will be able to experience this unique Spa Menu in London. This range of WE (Wellbeing Expert) treatments combine traditional healing therapies and massage techniques using therapeutic oil blends with rich natural essences, along with affirmations and mindful actions to enhance wellbeing. The treatments also equip spa guests with essential tips to embrace personal wellness for the mind, body and soul in their daily life. Aromatherapy Associates has been at the forefront of the movement into wellness, mindfulness and balance for over 30 years with a simple concept; sharing the power of essential oils and their incredible therapeutic effect. By harnessing the natural healing effects of the finest ingredients, purest extracts and essential oils, the brand has become a phenomenon in the beauty world. The new Spa Menu represents an eclectic combination of Akasha Holistic Wellbeing Centre’s own signature therapies for the face and body, using Aromatherapy Associates blending expertise to deliver a transformative experience. 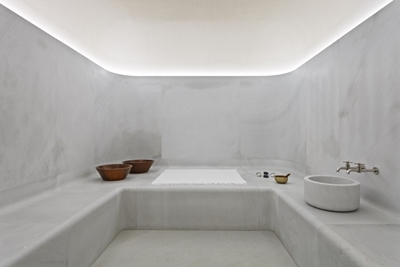 Akasha Holistic Wellbeing Centre at the heart of Hotel Café Royal is the underground retreat off Regent Street and promises complete rejuvenation in the centre of London. 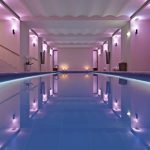 Built on four key pillars fusing fitness, nutrition, mindfulness and nourishing spa treatments, Akasha Holistic Wellbeing Centre is the leading Spa in the capital to include pioneering hydrotherapy treatments such as Watsu, Vichy Shower and Hammam on its progressive Spa menu. With its centring and grounding techniques, this treatment will bring a sense of calm and serenity. Massage movements are focused on the back, scalp, face, neck and shoulders, whilst the therapist shares practices to help guests truly relax. Designed with deeply releasing massage techniques that focus on the back, legs, scalp, neck and shoulders, this treatment will clear an overactive mind and relieve physical aches according to the chosen blend – De-Stress Mind or De-Stress Muscle. Back, legs, neck and shoulders benefit from an energising massage, while gentle, nurturing face and abdomen techniques regulate digestive and hormonal fluctuations. Focuses on supportive techniques used on the back, face, neck and shoulders, nurturing abdominal work, and movements to open the foot reflexes, guests will feel physically soothed and emotionally more resilient. This treatment uses Aromatherapy Associate’s Inner Strength blend, ideal for rebuilding the healing and rebalancing powers of the body and spirit.